Gotta love potstickers! These have a wonderful, savory filling that will please everyone, especially the vegetarians you know. 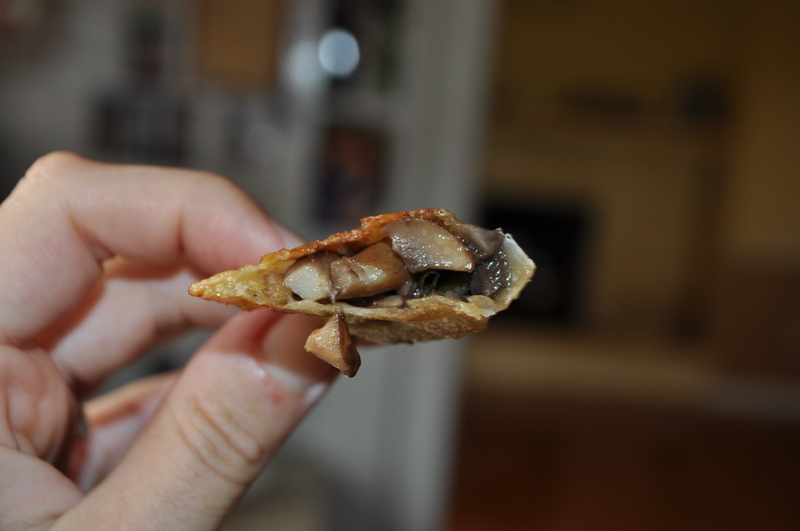 In a skillet, saute mushrooms, garlic, and ginger in the sesame oil for 3 minutes. Add scallions, soy sauce, and five spice. Continue sauteing until the mushrooms are tender. Drain off a bit of the mushroom juices and whisk in the cornstarch. Add mixture back into the mushrooms. When the juices are thickened, remove from heat. Spoon 1.5 tsps of the mixture into a wrapper and seal the edges. Cook in another clean skillet with 1/4 cup of water and 2 tbsp of sesame seed oil. Serve with soy sauce or other dipping sauce. I am so glad you found this!!! How sad to not eat potstickers! I do prefer meat based ones but these are very tasty. Please let me know what you think when you make them! Yum yum yum! Potstickers are always a treat, and these look particularly delicious. And I have wonton wrappers in the fridge right now! It was meant to be. It has been a couple of days since your comment. 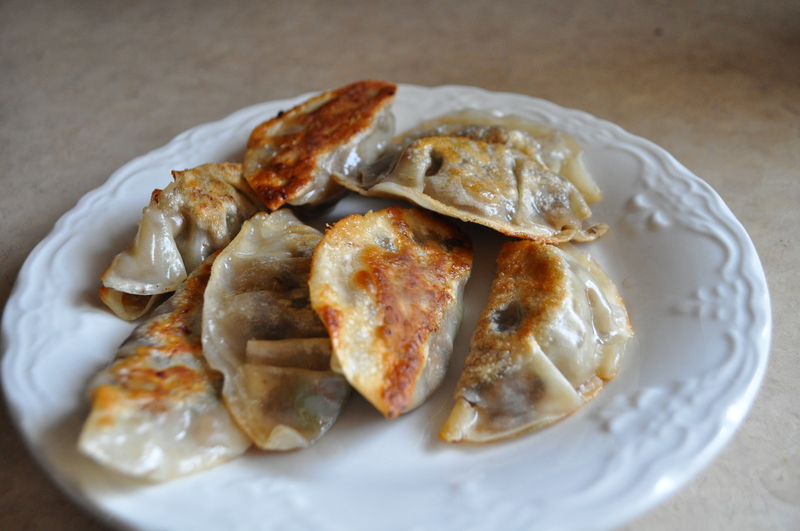 Were you able to make these potstickers? I hope you enjoy them!